California’s unique housing demands don’t always match up with the income of its residents. Income inequality is catching up with the economy, specifically the housing market. Updated February 14, 2019. Originally posted July 2015. 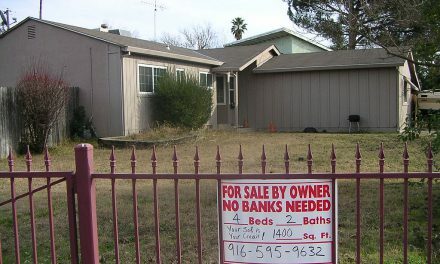 The fuel for California’s housing market is new housing formation, reliant not just on population growth, but on that population’s access to quality jobs and sufficient income. The chart on the left shows the share of California households according to size. The chart on the right breaks this down further to show the characteristics of the head(s) of the households. 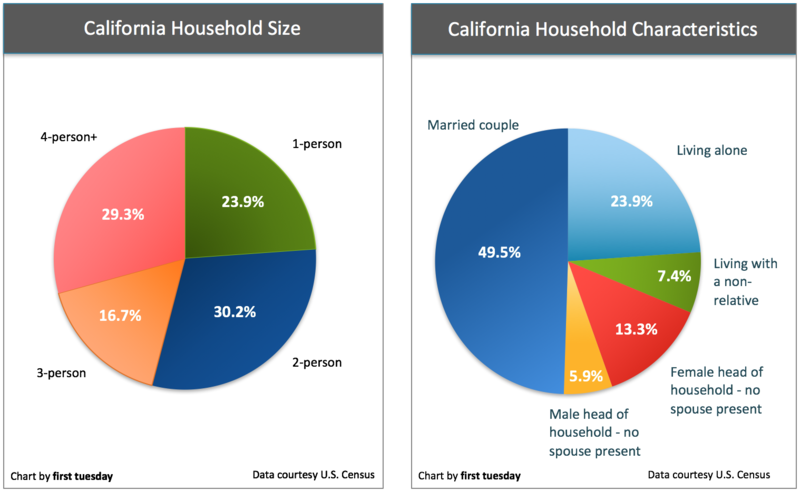 Nearly one in two households in California are headed by married couples. Roughly one in four consist of a single person living alone. The rest are made up of those living with non-relatives (roommates or cohabiters) and individuals heading family households with no spouse present (single parents, adult children taking care of elderly parents, etc.). These percentages are largely unchanged since last decade, despite the brief jump in household size following the Great Recession when family members consolidated households to save money. 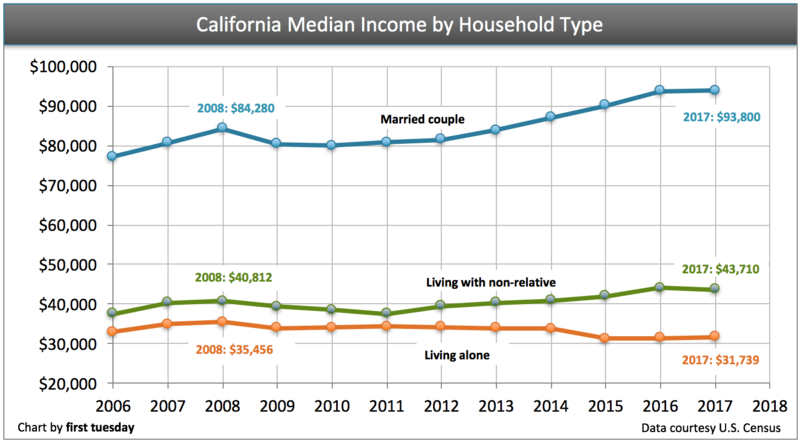 17% of U.S. households are single-person households, well below the 24% in California. desire less space than married couples. The average single-person living alone earns 34% of what married couples living together make. And that’s not just because in many married households both couples work — households consisting of non-relatives living together (that are just as likely to feature multiple workers) earn 47% of what the average married couple household makes. This suggests that married individuals trend toward higher earnings, one reason being the tendency to wait until financial stability before marrying. Therefore, while California has a need for more housing due to the greater number of single-person households, these “extra” housing units are more likely to be less costly multi-family dwellings, including condominiums and rental apartments. 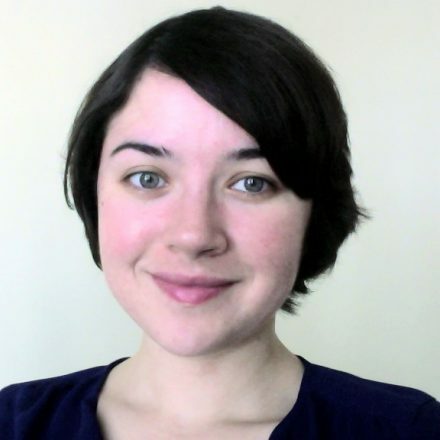 Further, this dynamic is only expected to increase through the next few years — peaking around 2019 — as the young generation of would-be first-time homebuyers (Generation Y, or Gen Y) is forced to put off homeownership due to a delayed entry into the workforce in the aftermath of the Great Recession. These young adults born in the 1980s and 1990s are often found in urban centers, living with roommates, renting rather than owning. The average homeownership rate for Californians 34 years and younger is only 20%-40%, depending on specific age. Before the Great Recession, the homeownership rate for this age group was five to ten percentage points higher. Today’s depressing homeownership rate amongst young people translates to a lot of lost home sale transactions. Real estate agents wait anxiously while Gen Y slowly accumulates the savings and income needed to realize their full potential for homeownership. It’s easy to wave away Gen Y’s plight as a young person’s problem, or a blip in an otherwise healthy labor force here in California. In truth, average incomes have been falling behind in California since long before Gen Y came of age, stagnating household formations and in turn weighing down home sales volume. Accounting for inflation, California’s gross domestic product (GDP) increased by 78% from 1997-2017, at nearly $2.4 trillion in 2017. 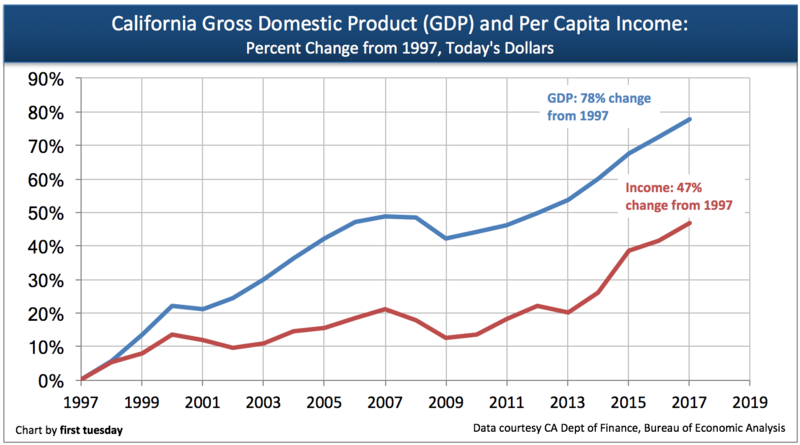 During the same time, average per capita income in California rose 47%. In other words, GDP has grown at a rate nearly twice as quick than income. GDP is the measure of a state’s total economic output, and a general indicator of broad financial health. However, it clearly doesn’t translate directly to income growth. A very small amount of the difference can be accounted for things like indirect business taxes and bad debts. But the bulk of the difference is due simply to a few individuals profiting disproportionately to most earners — a situation known as income inequality. 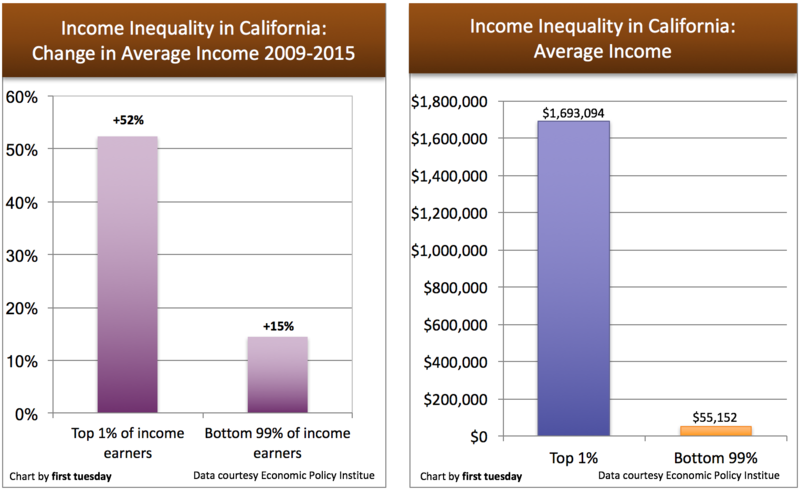 Here in California, the average income of the top 1% of earners is 31 times greater than the average income of all other earners, one of the largest gaps in the nation, according to the Economic Policy Institute. 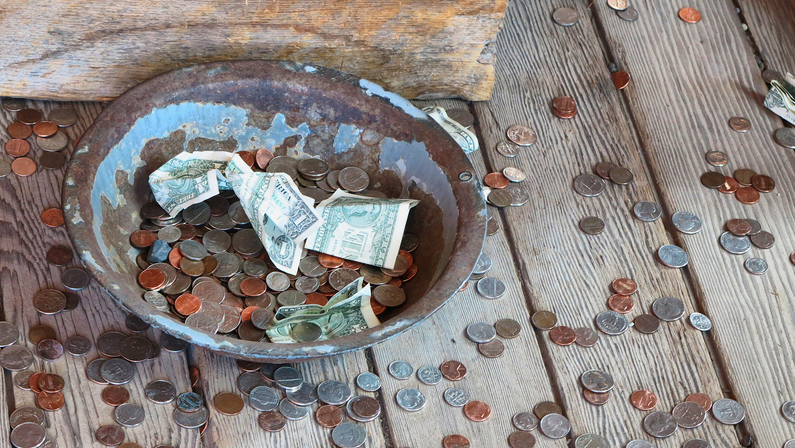 Income inequality is not only bad for most income earners; it’s also bad for the economy. In fact, without today’s high level of income inequality in California and the U.S., GDP would actually be significantly higher, according to an Organization for Economic Cooperation and Development study on the link between GDP and income inequality. Another way to weigh the effect of income inequality on the housing market is to consider the housing demands of 99% of California’s workers against the top 1%. Sure, the top 1% of earners will buy more expensive homes, and often buy a vacation home or two on top of their primary residence. They may even become property investors, buying dozens of properties. But that is not even a drop in the bucket compared to the housing needs of the 99-percent-ers, which today equals roughly 17.4 million working individuals in California. When profits are distributed just a little more evenly, the purchasing power of the bottom 99% rises. This causes a considerably positive effect on the housing market, as workers can qualify for higher mortgages or rents, and household formation increases as individuals finally gain the income needed to move out on their own. the super wealthy are no more worthy of protection from taxes than regular taxpayers, though this is currently the case. Don’t misunderstand. 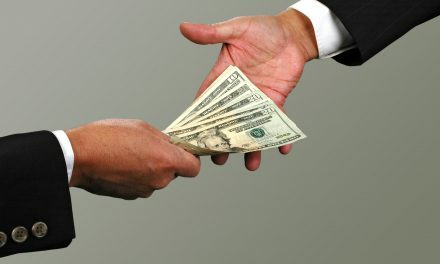 The top 1% of income earners are neither “bad” people nor purposefully keeping profits out of the hands of employees. But there’s no denying our tax code is set up to favor the wealthy. For regular income earners, it’s mandatory to give 10%-28% of annual income to the federal government in income taxes each year, on top of sales and state taxes. For the top income earners, the tax rate is 39.6%. However, due to several tax loopholes designed to favor the wealthiest taxpayers, the paid rate ends up much lower. adjusting the mortgage interest deduction (MID), which overwhelmingly benefits top income earners, and perhaps instead focusing on deductions for those trying to save up to become homeowners. Do this, and you’ll see more hard workers making it into the middle- and upper-class. You’ll also see a higher, self-sustainable homeownership rate. California’s homeownership rate is consistently ranked near the bottom of the nation, at 55% going into 2019. Uphold the status quo, and you’ll continue to see the rift widen between the top income earners and average earners. GDP growth won’t realize its full potential, large corporations will flourish and small businesses will struggle. And in return, the rich will get richer. 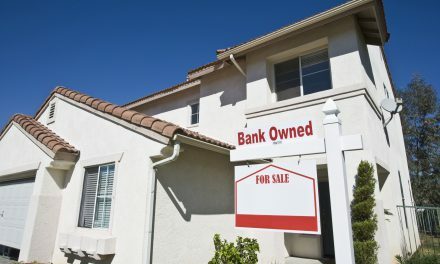 NextMay a mortgage holder recover the amount owed on a junior mortgage after a nonjudicial foreclosure when they are also the holder of the senior mortgage? POLL: When you upgraded to a broker license, did your employing broker increase your fee split? When did First Tuesday become a social justice outlet? Please stick to real estate facts and spare us the feelings. I won’t waste my time refuting all the inaccuracies and erroneous conclusions in this article. A) illegal immigration. The flood of unskilled labor into this state has adversely affected incomes of those without College degrees or advanced technical skills. B) The increase in out-of-wedlock births. With more than 50% of children now being born to unmarried women, the number of poverty “households” formed has skyrocketed. Venezuela, Bolivia, N Korea, China all have income equality programs in place. in how we perceive our world. I fail to see the relationship between prop 13 and income inequality. If someone qualifies to buy a house under current conditions, then his income is sufficient. OH BOY, this article got lots of people exited.The replies go back to 2015-2017, is this a re-run????? In any event do we want a Marx’s or Smith society?